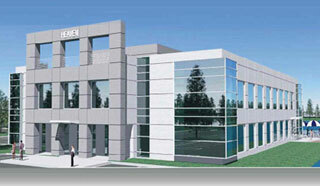 The trademark “Heaven” brand was developed to provide office tenants with a high level of building quality and service. High tech amenities such as LED lighting, biometric locks, green building programs, internet based surveillance cameras that can be viewed on tenant smart phones as well as stunning architecture and design are all part of the Heaven trademark brand. Heaven has chosen several key industry partners to support our customer base including Brighthouse Networks to provide state of the art in VOIP, wireless networking and cable television service via direct T-1 and fiber optic dedicated lines. Valley National Bank has been a key partner in financing our construction projects including highly specialized client interior build out requirements to support manufacturing operations ranging from defense contracting, to industrial products warehousing & distribution, to flavorings and perfume manufacturing.